Our primary has the current month's scripture taped to the podium so the child who was assigned to read the scripture had it right there in front of them. No more turning and reading it on the wall behind them so the rest of the primary can't hear!! The box of 50 is linked here even though Amazon does sell a box of 25...but only as an add-on (which means it will ship to you when you have other items to ship with it - it won't ship alone). If you have other Amazon items you are purchasing, I'd bet the smaller box :). The sheet protector is taped to the podium on 3 sides with the pocket left open. The whole year's worth of scriptures are stored right behind the current month's (it's a bit tight at first but it works - if it's too tight, only store 6 month's worth) so when a month is over, you simply pull out the top month to reveal the following months' prompt. It has worked well in our primary! You can download all of the prompts for 2016 HERE. 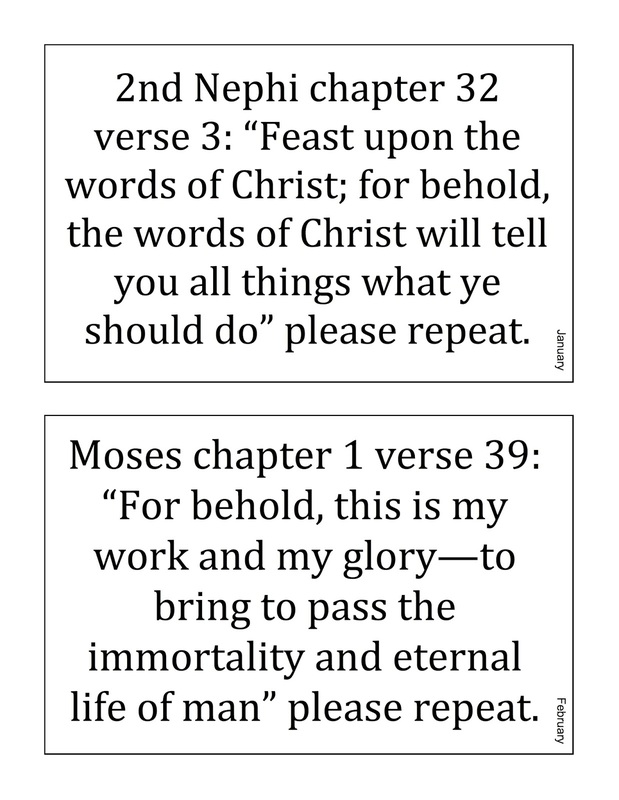 Our primary kids repeat the scripture after the child has read it (they all read it from the bulletin board on the wall) so the "please repeat" is nice. 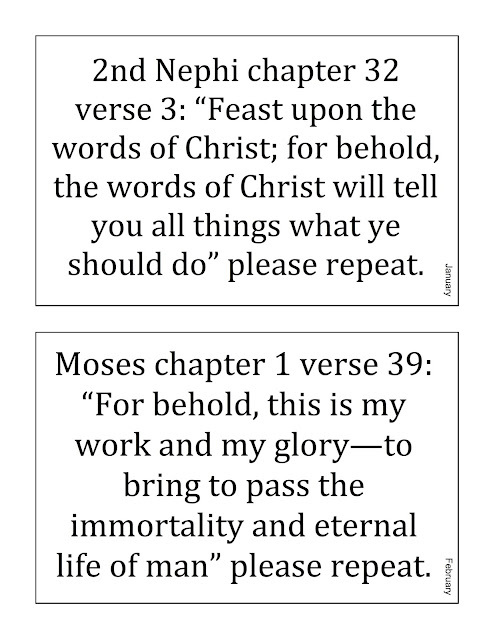 If your ward doesn't repeat it, I have removed that phrase from the documents HERE. 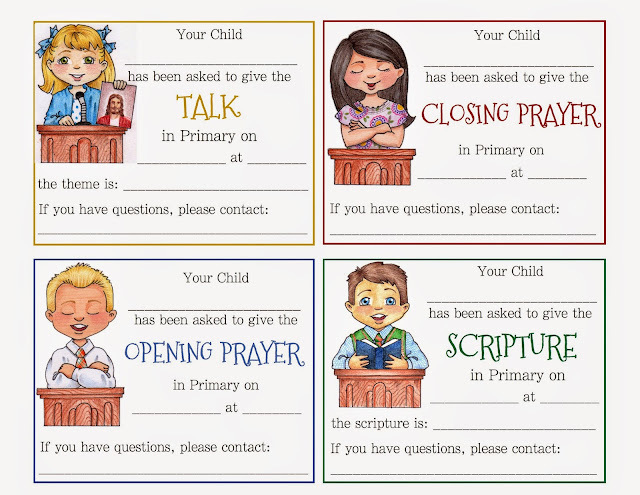 And along a similar topic...assigning the scriptures, talks, prayers, etc., last year I created Assignment Cards to help in opening exercises. You can find details for them HERE.